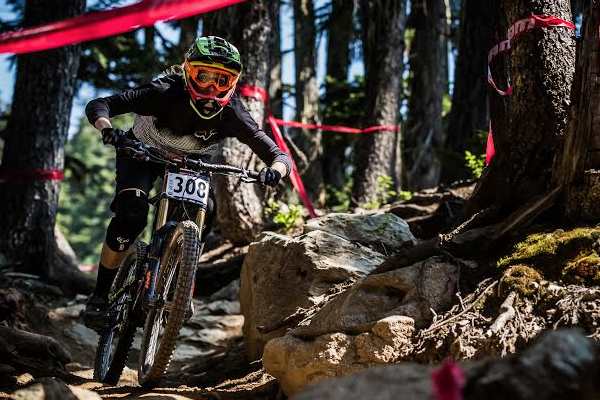 Despite organisers’ attempts to mix it up for the Garbanzo DH, fans of the iconic Crankworx race likely felt a little déjà vu Wednesday as Claire Buchar and Marcelo Gutierrez Villegas stepped atop the podium. Taking the win for a second and third year, respectively, the Whistler local and Columbian dynamo both admitted they were not thrilled to see the course change this year, Gutierrez, in particular, having labelled it his favourite course in the world. Nevertheless, neither racer balked at the chance to best their contemporaries, powering down the epic quad-crusher under 30-degree Celsius heat. “I’m not going to say it was fun because it’s one of those things that’s just so hard you can’t call it fun; but it was gratifying in the end,” said Buchar. 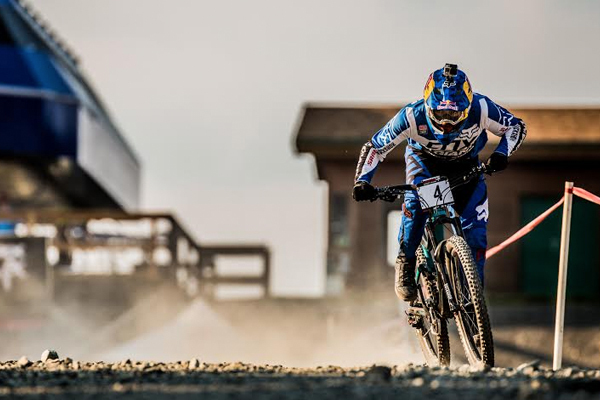 Considerably less technical and flatter, the new course is really the original Garbanzo DH course, a 3400-metre toll-taking test of mountain biking supremacy. Gutierrez initially tested the course on his downhill bike and made the switch to his enduro rig after the first run. He then spent his entire practice struggling not to get punctures, crossing his fingers he would not flat-out in the race. Gutierrez has now secured first place in the Garbanzo six times, once as a junior, twice in second and the last three years as the overall victor. Outstripping his nearest competitor by 13 seconds, he certainly proved the dominant rider, though hardly the only hero of the day. Matt Walker, of New Zealand, managed to keep himself in the top 20 by walking his bike up the hills, after breaking his chain on a flat fire road section. Buchar, meanwhile, earned her win by little more than a second, declaring herself “wrecked” by the end of the day.